A Sizzling thriller for fans of James Patterson and Patricia Cornwell. An exciting tour into the real-life world of cops, crime, and murder. Retired inspector Jack Bertolino had strict rules when dealing with confidential informants. But Mia had the kind of beauty that could make a grown man contemplate leaving his wife, his job, and his kids. After a passionate night together, Mia is found murdered – and Jack is the lead suspect. Facing threats from the LAPD, the 18th Street Angels, and a Columbian drug cartel, Jack delves deeper into the seedy world of drug dealers and murderers and discovers that the top players knew Mia personally. And now Jack is torn between fearing for his life and seeking revenge for his slain lover…either way, the body count will rise. I received a free copy of this novel in exchange for my honest review. Jack Bertolino, a retired narcotics detective is unexpectedly contacted by one of his former Criminal Informants. She was supposed to disappear after they put the drug kingpin away, so why is she here? After a steamy night of passion, Mia confesses that her life is in danger. He’s been set up for her murder, and now he’s on a race against time to find out who the real killer is. This was an action packed suspense thriller. It kept me riveted from the very beginning. The main character is so realistic, and all of the descriptions so vivid, I felt like I was there. The synopsis had said it was similar to a James Patterson novel and I was skeptical. Truth be told, John Lansing is an amazing author! If you do like James Patterson, you’ll love this book. He then landed a co-starring role in George Lucas’ “More American Graffiti,” and guest-starred on numerous television shows. 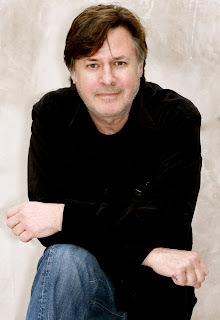 During his fifteen-year writing career, Lansing wrote and produced “Walker Texas Ranger,” co-wrote two CBS Movies of the Week, and he also co-executive produced the ABC series “Scoundrels.” John’s first book was “Good Cop, Bad Money,” a true crime tome with former NYPD Inspector Glen Morisano. The Devil’s Necktie is his first novel. I would like to thank Simone for hosting me on her website. And especially for taking the time to read my book, and then write such a thoughtful review. It is greatly appreciated.